Apple's latest efforts to ensure its Apple Maps app gains Google-esque reliability involves reaching out to companies whose addresses it may have gotten wrong, according to reports. A Reddit user claimed he received a phonecall from the company's HQ in Cupertino seeking to resolve a user-reported location mistake and promising an update within the next week. "A 408 number called me from Apple Maps and let me know that a user reported my business address as incorrect," the business owner wrote within the Apple Maps subreddit. "They still had my old address that was listed on Yelp so I gave them the new one. It appears that Apple pulled from Yelp awhile ago but it doesn't actually sync the addresses and other information. Still couldn't believe that they called me to fix up the listing - how awesome." The report comes after information claiming the firm was acting more promptly to remedy user reported issues. The firm is apparently addressing mistakes every day at 3AM EST, which is up from weekly updates. 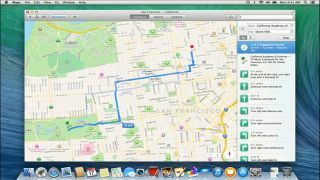 Apple has received plenty of criticism after Maps misfired in its early days as the default navigation app in iOS 6, but it has improved considerably in the last two years. Has Apple maps converted you? Or do you remain a Google Maps loyalist? Share your preferences below.